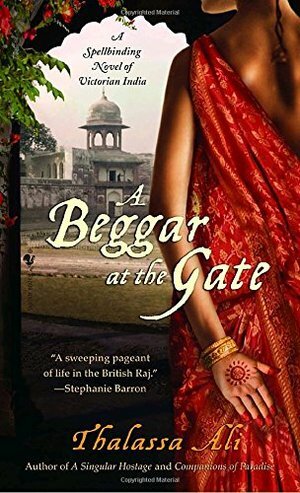 Set in nineteenth-century British India, Thalassa Ali’s dazzling debut, A Singular Hostage, introduced us to Mariana Givens, the Englishwoman who risked everything to save a young Indian orphan from certain death. Now Ali returns to that exotic kingdom beyond the northwestern frontier, where Mariana will come face-to-face with a different destiny.Two years have passed since Mariana left the walled city of Lahore. But she’s unable to forget its haunting scent of roses or her ill-fated marriage to a native-born husband that has scandalized Calcutta society and made her an outcast among the English. Worse still, she bears the knowledge that she will be forced to give up Saboor—the boy believed to be endowed with magical gifts whose life she risked her own to save.Now Mariana must revisit Lahore to return Saboor to his family and request a divorce from Hassan Ali Khan. But how can she say good-bye to the enigmatic man whose love defied two cultures—or the child she’s loved as her own? As political and civil strife threaten to erupt in violence, she seeks answers in a world no Englishwoman has ever seen. And she’s driven ever closer to a secret so powerful that it will change her life—and the lives of those she loves—forever.From the Trade Paperback edition.